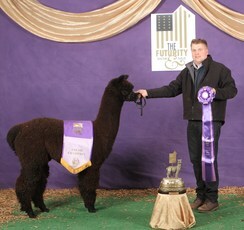 Jacob Black has great conformation, a beautiful fleece, and a handsome head. His true black fleece is extremely uniform with a very expressive crimp style found normally on white animals. His personality is laid back and gentle. Jacob Black started showing when he was 9 months old, and since that time, he bannered in every show he went to, with the exception of a blue ribbon at the Futurity when he was 10 months old. Jacob is not available to outside breedings. 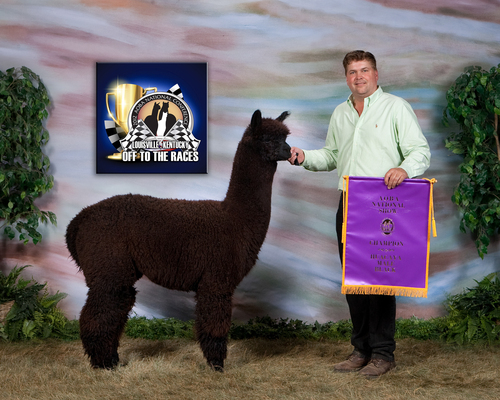 He will be an exclusive, restricted herdsire for our black program, and he will join 15 time champion Knight Rider in producting show winning blacks. 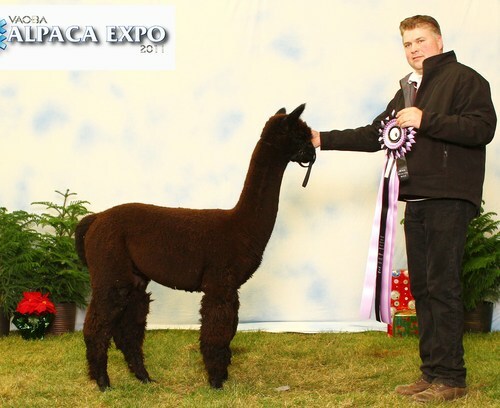 Update: Jacob Black wins Reserve Dark Herdsire at the 2015 Futurity and the 2016 Futurity! That is a fabulous achievement! 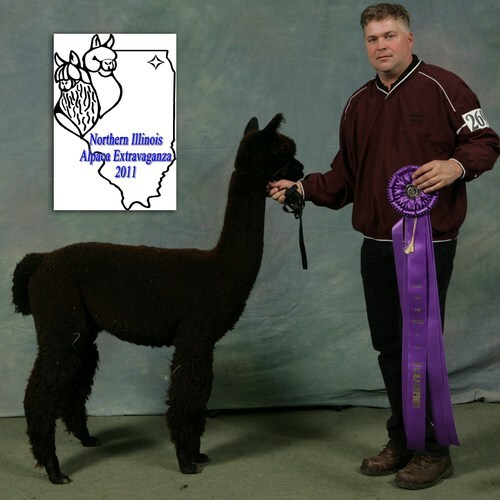 Update: Jacob Black's crias are outstanding, and many of them are already champions themselves!